London, Oct 27 (IANS) Singer Ed Sheeran has met his friend and singer Taylor Swift’s new boyfriend Joe Alwyn and says he is a “good dude”. Sheeran and Swift are close friends. Theyhave toured together and worked on the track “Everything Has Changed”. He says he has given Alwyn his seal of approval, reports mirror.co.uk. “She’s (Swift has) been in London quite a bit. He’s (Alwyn’s) really nice. 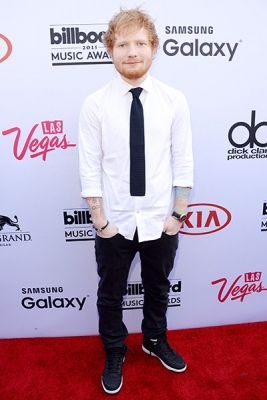 Really, really friendly, really good dude,” Sheeran said on TV show “Capital Breakfast” on Thursday. Sheeran has also been given a sneak peak of Swift’s upcoming album “Reputation” and says he is a fan of her new songs and the videos she has been making. “I think the songs are great, I think the visuals… She’s really putting everything in to the visuals as well, the visuals are really impressive. I think people will like the album,” Sheeran said.